In a speech addressed on April 27th at the Massachusetts Medical Society's annual meeting, Bill Gates warned of a global pandemic and lamented the lack of the world’s preparedness. The former Microsoft CEO also put $12 million USD toward finding a universal vaccine. This year marks the centennial of the 1918 flu pandemic. What if a similar global-scale disaster befalls the world? Bill Gates is taking practical steps to push the development of a universal flu vaccine. The last verse is actually in flew Enza, and this is a children’s playground song from 1918. This year went down as one of the deadliest in human history, and a large part of that was because of influenza. It was the year of the infamous Spanish flu — named so for the origin of the first reported cases: Spain. The year 1918 brought about the end of one global disaster and the onset of another one. In spring of 1918, World War I was drawing to a close, and the world was still counting its casualties, which would eventually amount to 20-40 million lives. As if the terrible toll the cruel Great War took on nations wasn’t enough, the world was about to face yet another calamity of global proportions. A century ago, and over eighteen months (1918-1920), the H1N1 influenza virus killed 50 to 100 million people (up to 5% of the world’s population), and affected as many as half a billion. The 1918 influenza pandemic is regarded as the worst of its kind in recorded history. Physicians were helpless. With no effective means to counter a flu virus with such unusual morbidity, the pandemic didn’t spare any age or demographic. In America alone, the 1918 flu killed over 675,000 people and decreased the general life expectancy in the country by about 12 years. “The 1918 has gone: a year momentous as the termination of the most cruel war in the annals of the human race; a year which marked, the end at least for a time, of man’s destruction of man; unfortunately a year in which developed a most fatal infectious disease causing the death of hundreds of thousands of human beings. Medical science for four and one-half years devoted itself to putting men on the firing line and keeping them there. Now it must turn with its whole might to combating the greatest enemy of all–infectious disease”. Another pandemic of similar scale isn’t only possible but probable, says Microsoft’s founder Bill Gates. He stresses that we’re utterly unprepared for it. These days, you can take over-the-counter drugs and antivirals to ease flu symptoms and be fully recovered in a couple of days. If you’re so inclined, you can also get a flu shot that, although it doesn’t guarantee you won’t get infected by seasonal flu viruses, it makes the infection milder. Babies and elderly people are the most vulnerable to flu complications that in some cases result in death. Of course, that doesn’t mean healthy adults are immune to such life-threatening flu infections. Last year’s flu season is said to be the worst since the 2009 swine flu pandemic. In some years, strains of seasonal flu viruses cause situations of epidemic levels. In other rarer cases, the virulence of influenza gets so high that there’s a global breakout with high rates of mortality. When this happens, it’s called a pandemic. Are we prepared for another event like the great flu pandemic of 1918? Bill Gates says no. 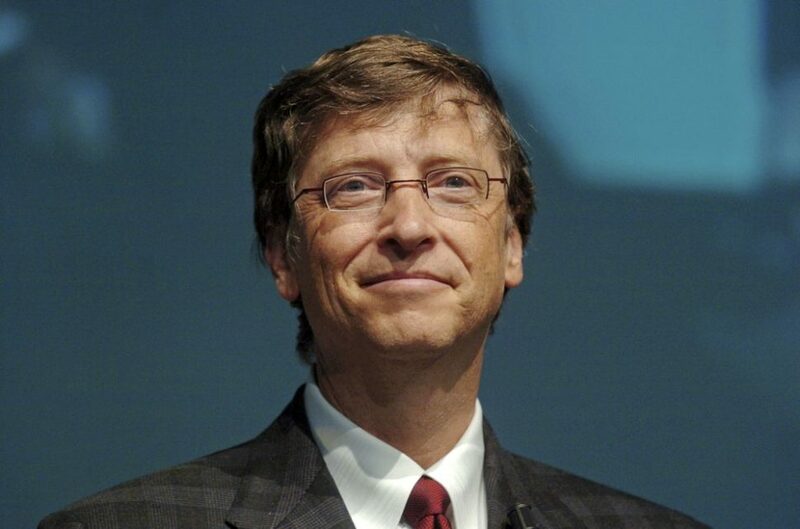 After stepping down from his position as Microsoft’s CEO in 2014, Bill Gates has been dedicating his time and efforts to charity, mainly through the Bill & Melinda Gates Foundation. Gates may have declined Donald Trump’s offer to serve as his science advisor, but that doesn’t mean he lost his scientific spirit. Science is our best shot at preventing pandemic events from threatening life. Gates didn’t want the Spanish Flu’s centennial to go unnoticed. In a speech addressed on April 27th at the Massachusetts Medical Society‘s annual meeting, Bill Gates warned of a global pandemic and lamented the lack of the world’s preparedness. “This should concern us all, because if history has taught us anything, it’s that there will be another deadly global pandemic,” said Gates. We would think that with today’s technology, vaccines, and medical arsenal, we would fare better with flu pandemic like that of 1918. However, experts think it’d be worse. It is estimated that a similar virus would take 33 million lives in six months! The short video below, courtesy of the Institute for Disease Modeling, is a simulation of a global flu pandemic caused by an airborne pathogen similar to that of 1918 in virulence and lethality. Do you think a universal flu shot will work? What about other pandemic diseases, like Ebola?